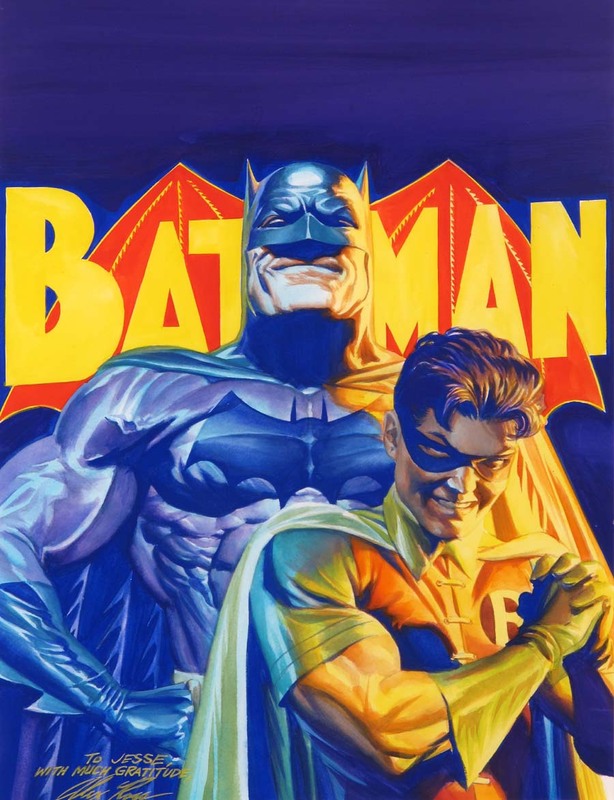 Considered one of the greatest artists in the field of comic books, Alex Ross (b.1970) has revitalized classic superheroes into works of fine art with his brilliant use of gouache paint. By building on the foundation of the great artists who came before him—Jack Kirby, Steve Ditko, John Romita, Neal Adams, George Perez, and others—Ross's paintings have revolutionized the comic book industry and transcended the newsstand origins of his profession. At just three years of age, Ross was drawing TV commercials from memory. By the age of thirteen he was scripting and drawing original comic books. 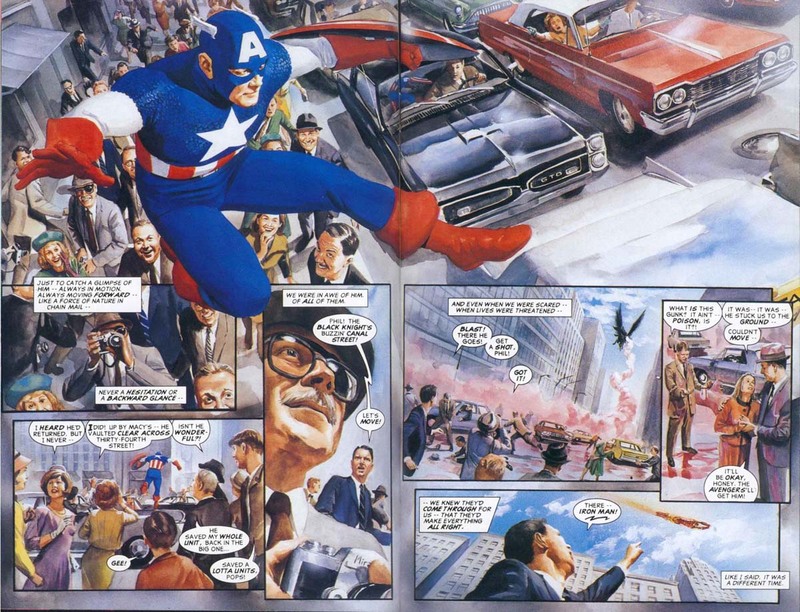 Ten years later, Ross painted a visual history of Marvel Comics' central characters in the groundbreaking comic book event Marvels (1994). 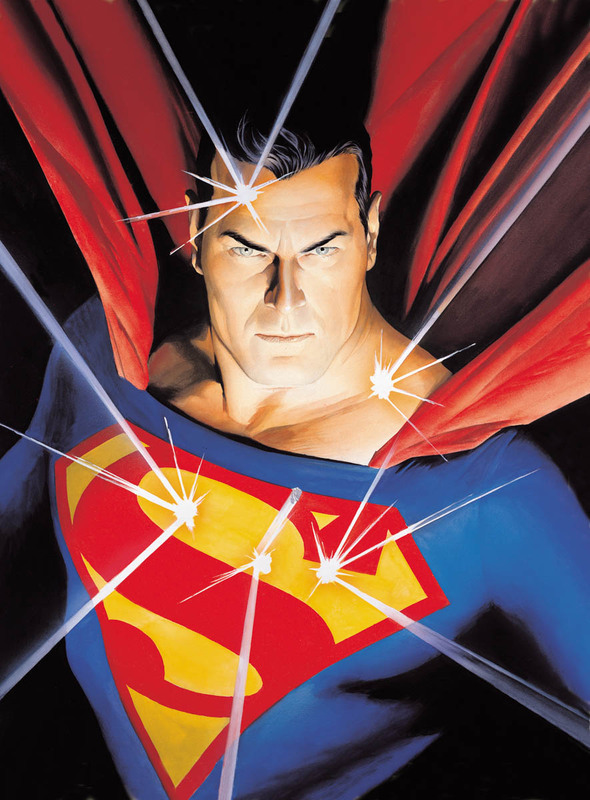 His impact on the comic book industry became so powerful that his hugely successful comic book series Kingdom Come (1996) marks the close of the “Dark Age” of comic books, in which pessimism, violence, and gritty stories ruled, into the birth of the “Modern Age” of optimism and strong superheroes. Ross would go on to win the Comic Buyer’s Guide Award for Favorite Painter so many times the award was retired. 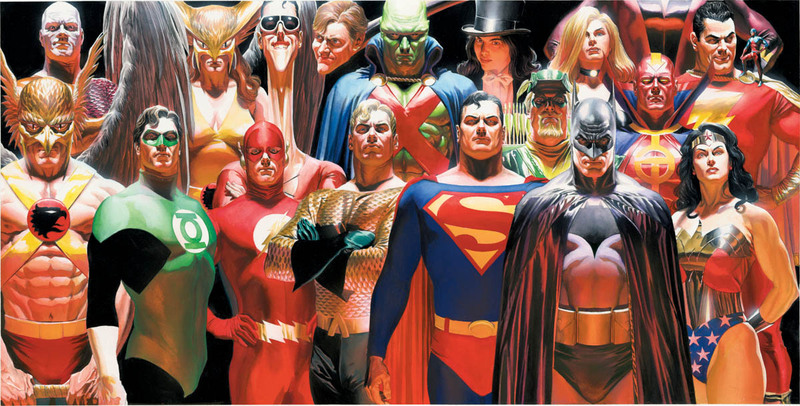 Having few friends as a child, loneliness helped to shape the creative life of Alex Ross. To fill his time, Ross turned to television and comics books. Television shows like Super Friends and Electric Company, which featured a live-action Spider-Man, introduced Ross to the world of comic books and superheroes. Starting at four years old, Ross began drawing images of his favorite superheroes—Superman, Captain Marvel, and Plastic Man—characters he would revisit numerous times in the next thirty-seven years, rejuvenating them with his own style. Ross spent much of his childhood drawing and scripting original comic books. At eleven years old, Alex brought life to comic book superheroes using construction paper and Scotch tape. In his teenage years, Ross's art projects would carry him through to more elaborate “graphic novel” approaches as well as designing original characters. 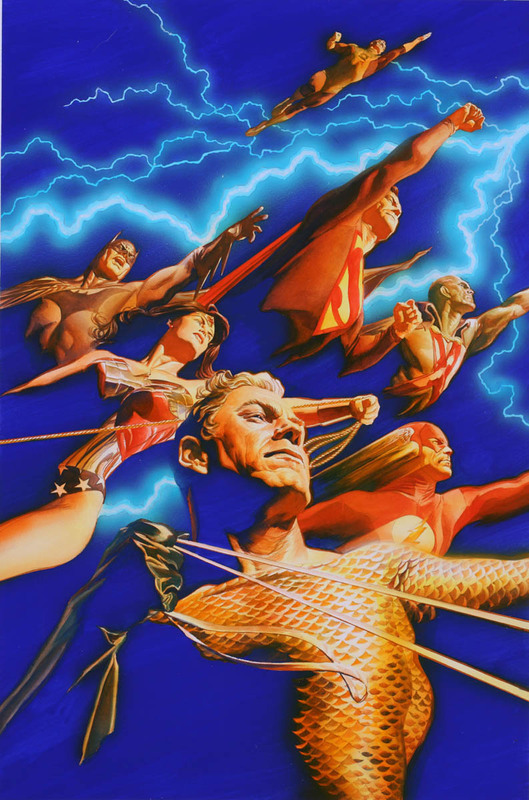 At the age of twenty, Alex Ross began planning the project that would be his biggest splash into the world of comic books. Ross and collaborator Kurt Busiek crafted a story showcasing various points in the history of the Marvel Universe from 1939 to 1973 through the eyes of fictional photographer Phil Sheldon. In Marvels, Sheldon witnesses the birth of the Human Torch in 1939, battles between Captain America and Nazis during World War II, and the creation of superhero teams the Fantastic Four, the Avengers, and the X-Men in the 1960s. 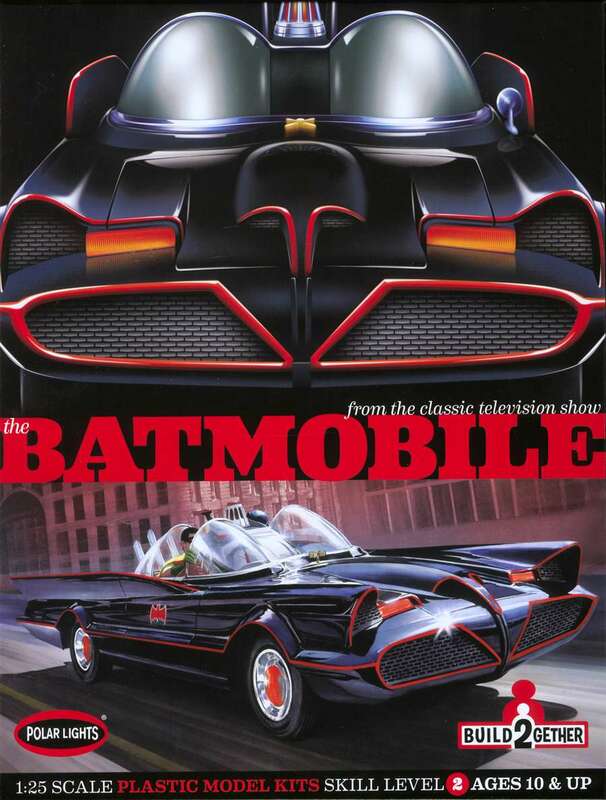 Following the critical acclaim and massive sales of Ross’s Marvels comic book series, Ross approached DC Comics with a plan to create a similar project for them. Kingdom Come is set several years in the future—Superman is retired, Wonder Woman has moved away, and a battered Batman controls a Gotham City police state through the use of robot sentinels. Without the moral compass of the world’s finest superheroes, a new generation of reckless and self-important superheroes arises, blurring the line between heroes and villains. Sensing a coming apocalypse, the superhero spirit the Spectre asks for the help of minister Norman McCay (based on the artist’s father) to determine the cause of the catastrophe and a solution to end it. The massive successes of Marvels and Kingdom Come made Ross well-known within the industry and allowed him to largely chart the course of his career. 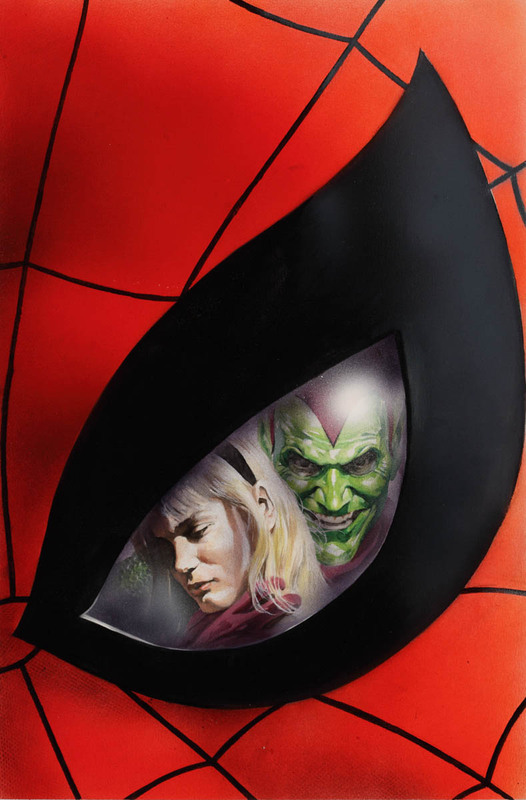 From his breakthrough success with Marvels in 1994 through his current work in comic books like Star Wars, Kirby: Genesis and a series of covers celebrating Marvel Comics’ 75th anniversary, Alex Ross continues to transform decades-old symbols of America’s strength and optimism into fresh, realistic portrayals of hope for a new generation. Kidd, Chip and Alex Ross. 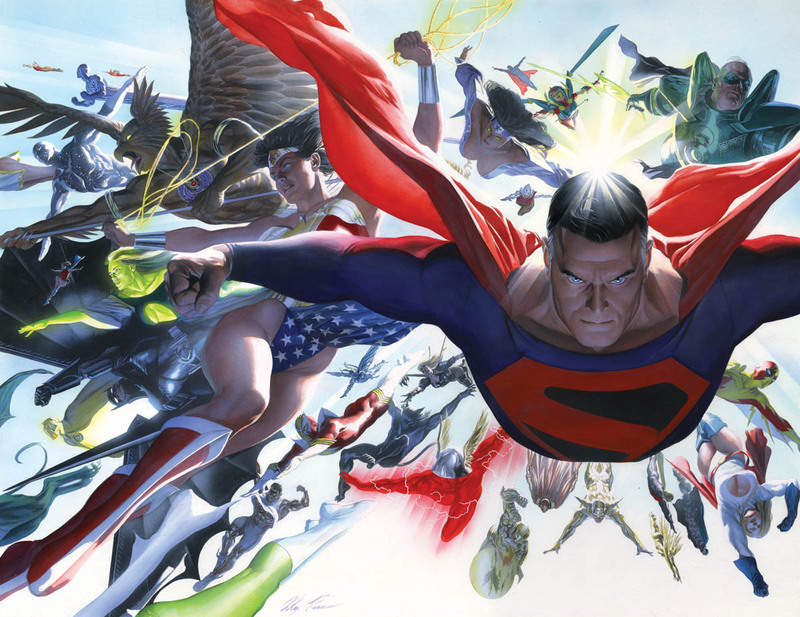 Mythology: The DC Comics Art of Alex Ross. New York: Pantheon Books, 2003. Ross, Alex. The Dynamite Art of Alex Ross. Runnemede, NJ: Dynamite Entertainment, 2011. Ross, Alex and Kurt Busiek. Marvels. New York: Marvel Comics, 1994. Ross, Alex, Jim Krueger, and Doug Braithwaite. Justice, Vol. 1. New York: DC Comics, 2006. Ross, Alex and Mark Waid. Kingdom Come. New York: DC Comics, 1997.